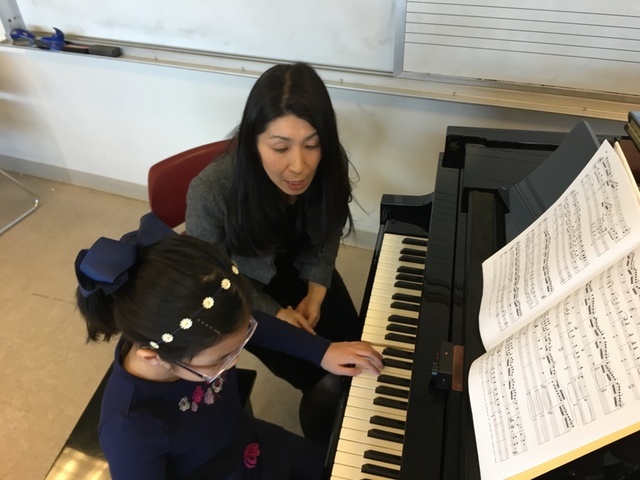 CINCINNATI -- Takako Frautschi teaches piano to many highly-skilled musicians at the College-Conservatory of Music at the University of Cincinnati, but it's not often one of her young pupils is chosen to play a Mozart concerto on stage with the Cincinnati Pops. Especially when that pupil is only 9. "She has such a gift," Frautschi said. "I know she is so young, (but she's) feeling the music in such a mature way. She closes her eyes and plays from her heart. She plays gentle, beautiful, angry, exciting...with feeling, not just the dynamics." When Sophia Suwiryo found out she would play with the Cincinnati Pops, she and Frautschi got to work quickly. "She has only been given two months to learn it," Frautschi said. "It is really difficult, fast music. It requires a lot of practice just to be aware of every note." Frautschi said it would take her college students about a year to perfect the piece. Sophia mastered it within two weeks. Sophia with her teacher, Takako Frautschi. Frautschi said she believes Sophia is a once-in-a-generation talent. Her parents, Michael Suwiryo and Cindy Tanudji, said they keep their daughter stimulated. She attends Chinese school, swimming lessons and chess lessons. Michael Suwiryo tried early on to share his own love of music with his daughter. Before she was born, he would place headphones emitting classical music on either side of his wife's pregnant belly. "I heard about the Mozart effect," he said. "I was like, 'Okay, whatever.' I just watched comedy drama on TV," Tanudji said. Frautschi said Sophia's parents refer to her as "the boss." 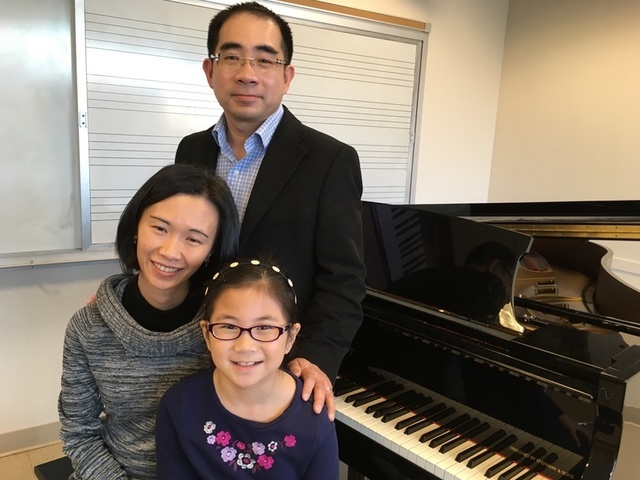 She isn't forced to study piano -- she loves it. "She does not get tired," Frautschi said. "Anything I demand, she gets back to me with everything I assigned, and everything seems so easy for her. "Her dad says, 'If the boss says to do it, then we do it,'" she said. "It makes me forget she is only 9." Tanudji said her daughter wants to learn to play other instruments, too. "We're holding back right now," she said. "She keeps surprising us all of the time. We know she loves piano, but never knew she was capable of playing this tough music. It's beyond her age...every year, she surprises us." Sophia, who has been playing piano since she was 4, said she was ecstatic to learn that she was invited to play with the Pops. "I was screaming and very happy. I am blessed that I get to play there," she said. "It feels like I'm a famous person, that I can be with them on stage." Sophia said her parents, particularly her mom, inspire her. "That is one of the things I want to be, (a pianist)," Sophia said. "I might want to be a surgeon, too." Sophia's parents said they're nervous, but also incredibly proud of their daughter. "It's a huge opportunity that I never dreamed for my daughter, that can go and perform at such an awesome place," Tanudji said. "There will be 3,500 people -- that is like playing at the Bengals stadium."